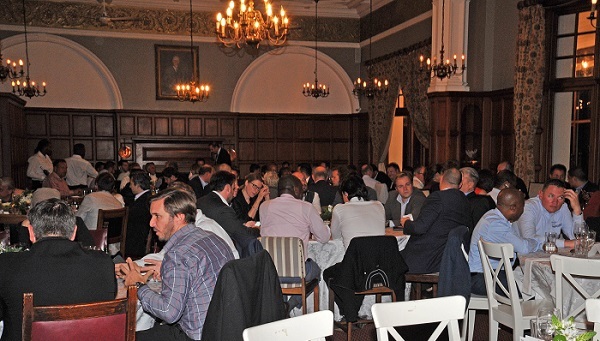 More than 160 delegates from over 60 international and African companies attended a fascinating two days of presentations, panels and speeches at the first African Business Aviation Conference (AfBAC) in Cape Town. 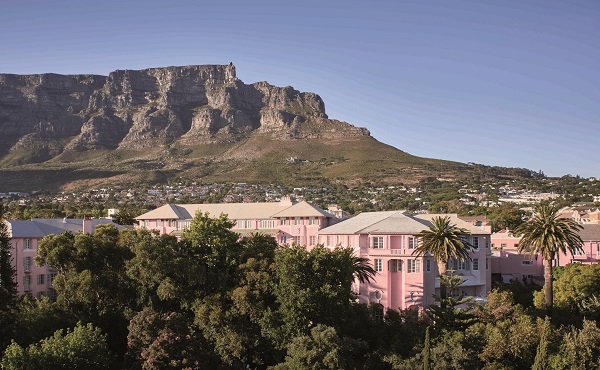 The latest event in AfBAA’s growing portfolio was the largest yet, and will become an annual Cape Town fixture on the aviation conference circuit. AfBAC delivered on its promise with an intriguing selection of speakers. Ex-US Navy Seal Tom Rothrauff talked about how to manage landing in conflict areas and the psychological considerations, while Pierre Lucas of the World Food Programme discussed operational challenges for emergency deliveries. Jimmy Cho, a Boeing Digital Aviation specialist, explained how big data collected by omnipresent chips will affect the future of aviation, and demonstrated how the Microsoft HoloLens may change the future of virtual-reality training. In similar vein, Investec economist Chris Becker explored how digital technology can advance African business through the use of cryptocurrency, 3D printing and Apps. These speakers appeared alongside more conventional operators, technology suppliers, maintenance providers, engine manufacturers and regulatory bodies, a combination that underlines that Africa, with its 54 nations, is not a one-size-fits-all territory. 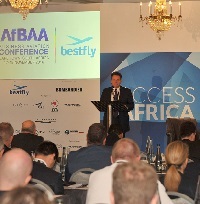 Nuno Pereira, CEO of Bestfly of Angola, and Segun Demuren, CEO of Nigeria’s EAN Aviation, argued that in the current climate business grows organically, eschewing the consolidation that other parts of the international business aviation community are experiencing. “We are growing directly in response to market demand,” Pereira said. He also encouraged competition, arguing it prevents complacency. Khader Mattar, VP of sales for Bombardier in Africa, confirmed that market demand has reduced from a few years ago but acknowledged the African market is no longer the dumping ground for old aircraft. The market is much more savvy, he said. It also recognises the value of modernising older aircraft. Pre-owned aircraft with a complete overhaul and upgrade can offer an owner great value for money. The pre-owned future looks bright in Africa, as do the opportunities for new business models. Twelve months ago, the JetSmarter membership club concept might have received a lukewarm welcome. At AfBAC, the view was positive towards the concept, which sees members able to buy single seats on a scheduled business-jet shuttle. The lines between scheduled services and business jet use seem to be blurring, bringing more people to the sector, delegates debated its value. Business models like this are also raising the profile of the value of business aviation as a business tool and this was well received by the audience. For Africa, this model is perhaps still too early, with cultural differences, challenging regulations, permit challenges and few operators currently making it more of an idea than a reality. ANAP Jets is pushing the fractional ownership with Embraer 300 Phenoms based in Nigeria, but acknowledged it will take time to change the perception of business-jet usage, even though it is a smart way to fly. “Are we selling a dream or a business tool?” one delegate asked. Innovation is key in supporting the market too. Pratt and Whitney Canada announced the implementation of four mobile support teams located strategically to assist clients across the continent. 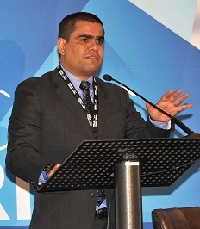 “If we want to flourish in Africa we have to invest in support,’ said VP commercial services Satheeshkumar Kumarasingam. This is in addition to the existing spare-parts locations in Africa, authorised service centres and its recently-introduced oil analysis technology that can indicate the state of an engine’s health with a simple oil sample. With 2,165 engines currently operating on the continent, it is this kind of support that is welcomed by the industry. AfBAA also launched the country’s first forum dedicated to Remotely Piloted Aircraft Systems (RPAS) technology. More than 40 delegates were intrigued and excited by the possibilities for RPAS use on the continent and there was great interest in a presentation of ZipLine, a company using the technology, in association with the Rwandan government, to deliver urgently-needed medical supplies across the difficult terrain of the country. AfBAA CEO Fahmy also announced new working committee activities. Sascha Neusser, of Jeppesen, will be leading a professional development programme for flight and ground operations through AfBAA’s Safety and Training Committee, being formed in conjunction with the Association of African Aviation Training Organisations. Following a panel discussion exploring operating in conflict zones, a new committee addressing aviation security was also launched with a vision to collect the best practices and resources to vet the risks in Africa, and explore how they can be mitigated. Training is now available for operators flying over conflict zones and can be deemed essential on a continent where at any one time conflict, hostility or emergency situations may emerge. Association chairman Ragheb also announced that AfBAA had now reached a total of 115 members as he announced an expanded series of events for 2017. The AfBAA Regional Symposium 2017 will take place in Nigeria where West African business aviation will be the theme, as it runs in conjunction with the annual Nigerian Business Aviation Conference. The newly-established country Round Tables, which have already spawned the Ethiopian Chapter of AfBAA, will provide an option for specific nations to discuss the themes and topics affecting their business aviation industry. Kenya and Nigeria are to be the next locations for these meetings. Access Africa will complement attendance at international events. Designed for companies eager to grow their business in Africa, the sessions will include presentations from leading African organisations that will impart local know-how and expertise. 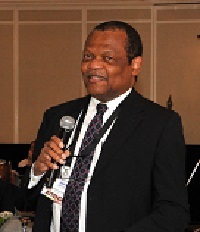 In closing the event, chairman Alan Peaford said: “AfBAA is not just a talking shop about ideas; the association is beginning to make moves, as reflected in this conference. AfBAC 2017 will be held in Cape Town in November.